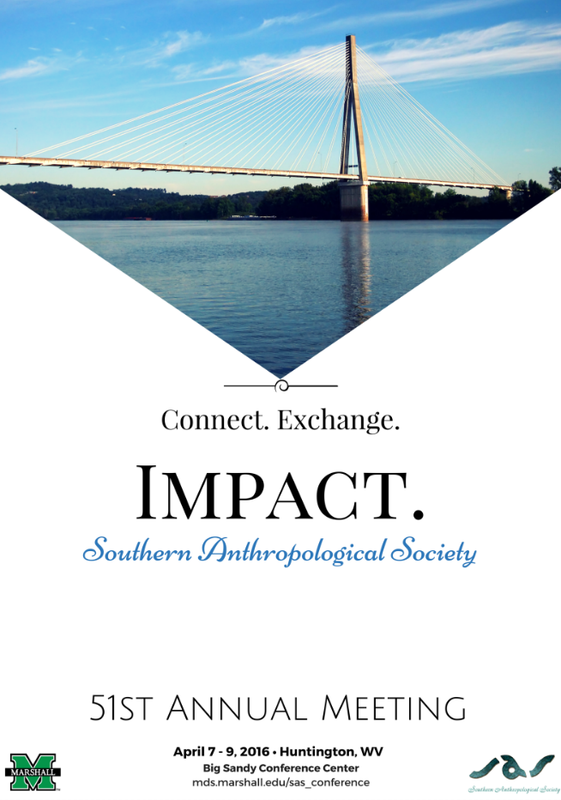 The Southern Anthropological Society is a four-field, regional organization of anthropologists in the Southeastern United States founded in 1966 with an annual conference, edited volumes, and a journal, the Southern Anthropologist. This site serves the SAS organization by allowing for event submissions to be made for its annual conference as well as in providing an archive of submitted events (papers, posters, performances, etc.). The schedule is arranged by session and events (listed at the top of each entry). The session or event title is a hyperlink that will take you to complete details. For sessions, this includes full information on the individual contributions of participants such as titles, bios, and abstracts.